A faith-based, Catholic senior healthcare facility conducive to overall wellness, not only by providing excellent medical attention, but also by enveloping each resident in a therapeutic culture of faith. Here, we believe the sanctity and dignity of life should always be honored and protected, while the healing Hand of Almighty God is welcomed and readily available for truly comprehensive care. We welcome “with open arms” as well, according to centuries-old Catholic tradition, residents of all faiths to experience this unique oasis of physical and spiritual healing. Whether residents require long-term care, or are recovering from surgery, injury or illness, at Wadsworth Campus, our interdisciplinary team of experienced healthcare professionals continually strive to meet and exceed the expectations of our valued residents. Copyright 2018. 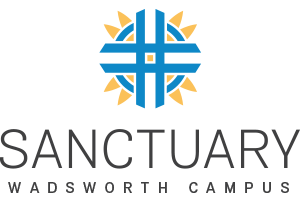 Sanctuary Health Network. All rights reserved.